Graphing is an essential skill, which allows you to further analyze and compare data. It helps you gain better comprehension of algebraic and geometric concepts and will continue to be useful as you tackle more advanced math concepts, such as trigonometry and calculus. Graphing provides a visual structure to what you're learning in mathematics. To help strengthen your overall math and graphing skills, below is a collection of 118 graphing calculators separated by skill level and type. The coordinate plate is made up of a horizontal number line x-axis, which intersects at the origin with a vertical number line y-axis. Below are 2 easy-to-use point plotting tools to help you get used to working with a coordinate plane. WebMath.com's Graph Individual Points – Plotting points is a great introduction into the concept of graphing and this tool makes it easy. Enter a set of points to see them plotted on a graph. Go.Hrw.com's Plot Points – Click the “Plot Points” tab to see up to 8 points plotted on the graph. CalculatorSoup.com's 2D Distance – Use the provided tutorial information to learn more about the distance formula and how to use it to find the distance between 2 sets of coordinates. Each solution includes a step-by-step explanation. NCalculators.com's Distance Between Two Points – The provided detailed tutorial information makes learning this concept easier. It is also great for beginners and is easy to use. MathPortal.org Distance and Midpoint – Use this tool to find the distance between two points. It provides a step-by-step explanation. Click the “Show Graph” box to see your problem on a graph. It can also be used to find the midpoint. MathOpenRef.com's Distance Between Two Points – This interactive graph allows you to drag points on a line as it finds the length of the line. Learn more about the distance formula and experiment using the “Things to Try” prompts. WebGraphing.com's Distance Between Two Points – Quick and easy to use, just enter your coordinates. Along with the solution, you can see step by step how the problem was solved and your points will appear on a graph. MathematicsMagazine.com's Mid Point Formula – Learn when and how to use the Mid Point Formula from the tutorial information provided. It also provides a visual aid showing how the Mid Point Formula works via a graph diagram. OnlineMSchool.com's Mid Point – Great for beginners, read the easy-to-understand tutorial information to better grasp this concept and to better understand how to use the formula. An easy-to-understand diagram of a line with a mid point is also provided. MathOpenRef.com's Midpoint of a Line Segment – Play around with the graphed line provided to see how the midpoint is recalculated as you move and adjust the line. Great tutorial information is also provided including a worked sample problem. Symbolab.com's Midpoint – Enter your coordinates then learn more about how the midpoint formula works by following the step-by-step explanation of your results. Click “Graph” to see your midpoint on a graph. As PurpleMath.com explains, slope shows how a line angles away from the x-axis or horizontal. Below are 2 tools to help you learn how to find the slope of a line. MathOpenRef.com's Interactive Slope of a Line – Learn more about slope by dragging the points on the graphed line. The line's rise, run, and slope will be instantaneously calculated. Detailed tutorial information on slope is also provided. Symbolab.com's Slope – Cleanly designed and easy to use. It provides a step-by-step explanation of how your line's slope was found. EasyCalculation.com's Geometry Shapes Graphing Tools – EasyCalculation.com offers several graphing calculators for drawing shapes. Enter the needed values for each calculator and a graphed diagram of the shape is provided. Desmos.com's Graph a Box – A great challenge, this grapher features an assignment to graph a box using a sample graphed box as a guide. MathWarehouse.com's Interactive Parallelogram – Move the points marked on the graph parallelogram to learn more about its angles, side lengths, slopes, and diagonal lengths. Easy Calculation.com's Graphic Calculator for Parallelogram – It is easy to get started. Enter the values for x and y and the width and height of your parallelogram. Then, your parallelogram is shown on a graph. Graphing an equation gives it a visual representation that can enable you to learn and discover more about it. The equation graphers below are useful tools for expanding your knowledge of equations. WebGraphing.com's Equation Plotting – Great for those just learning about plotting equations. It provides easy-to-follow instructions on how to get started. Once you've entered your equation, it is shown on a graph and a table of coordinates is provided. FreeMathHelp.com's Equation Grapher – Great for beginners, use this grapher to see up to 2 equations on the graph. It is easy to use. Just follow the provided instructions. SoftSchools.com's Quadratic Equation Graph – Great for beginners, use the sliders provided to adjust the variables in the equation or simply type new variables in the boxes given and watch the graphed equation adjust as you do. Meta-Calculator.com's Equation Graphing – Cleanly designed and easy to use, graph up to 7 equations to see how they relate on a graph. Mathway.com's Equation Graphing – Graph several equations at once. Use the “Help” button to provide sample equations to get you started. Desmos.com's Equation Graphing – Enter your equation and then see how it appears on the graph. Several equations can be entered. My.HRW.com's Equation Graphing – Graph up to 4 equations. A set of coordinates is provided in a table, and you can use the tracing feature to find others. EasyCalculation.com's Graphing Simultaneous Linear Equations – Use this to solve simultaneous linear equations by viewing them on a graph. Just enter your equations and this tool will graph them and show a set of coordinates and the equations' meet point. EasyCalculation.com's Quadratic Grapher – When you've entered your quadratic equation and your upper and lower limit, this tool shows your quadratic equation on a graph and provides a set of coordinates. WebMath.com's Graph a Line – Learn more about the equation of a line's structure and then fill in 1 of 4 line form options with your data. Press “Plot It” to see your line on the graph. MathIsFun.com's Equations Grapher – This grapher is fun and easy to use. Enter up to 2 equations to see how they relate on the graph. Use the “Sample” button to see a wide variety of equations on the graph. KevinMehall.net's Equation Explorer – Easy to use, the Equation Explorer allows you to graph up to 8 different equations so that you can see how they relate on the graph. MathPapa.com's Algebra Calculator – Follow the directions provided to learn how to graph equations. PhET's Equation Grapher – This unique graph is provided by the University of Colorado Boulder's PhET Interactive Simulations. It is interactive and allows you to use sliders to make adjustments to the equation being graphed. 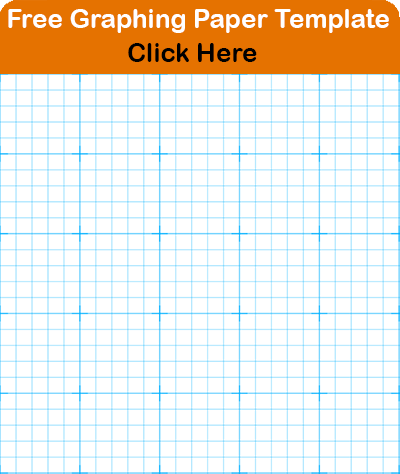 MathIsFun.com's Straight Line Grapher – Very easy to use, just enter your coordinates to find the line's equation, slope, y-intercept, corresponding parallel line formula, corresponding perpendicular line formula, and to see your line on a graph. There are different forms for writing the equation of a line. MathIsFun.com notes that slope-intercept form or y = mx + b is probably the most common. The calculators below help you find the equation of a line given the properties you know. OnlineMSchool.com's Equation of a Line – Learn more about this skill from the tutorial information provided. Just enter your coordinates and it will provide the equation of the line. EasyCalculation.com's Equation of a Parallel Line – Enter your line and the point. This easy-to-use tool will find the line parallel to it and will show the lines on a graph. Simulation-Math.com's Writing Line Equations Grapher – Simply enter your line and the given point and it will show the parallel line and perpendicular line on a graph. Symbolab.com's Equation of a Line – Enter a point and the line's slope or enter two points to find the equation of the line. A step-by-step explanation is provided and your line is shown on a graph. Algebra.com's Equation of a Line – Find the equation of a line by entering two points. Check your work using the step-by-step explanation and take a look at your graphed line. EasyCalculation.com's Two Intercept Form –To learn more about this concept, pair the easy-to-use tool with EasyCalculation.com's tutorial information on two intercept form. MeraCalculator.com's Two Intercept Form – Follow the provided step-by-step solved formula to strengthen your understanding of two intercept form. TutorVista.com's Point Slope Form – To get you started learning about point slope form, this calculator provides steps on how to use the formula and a solved example problem. MeraCalculator.com's Point Slope Form – To learn more about using point slope form, follow the step-by-step solved formula provided. When you enter your coordinates and slope, your line's equation is tabulated instantly. MathWorksheetsGo.com's Slope Intercept – Use this calculator to check your own work. Enter the x- and y-coordinates and it provides the equation of your line. Algebra.com's Standard Form to Slope Intercept Form – Learn how to convert a linear equation from standard form into slope intercept form. Enter your values and the results will include a step-by-step explanation of how the equation was converted. EMathHelp.net's Slope Intercept Form – Enter your x, y values and this tool will lead you through the process for finding the slope of the intercepting line. The Slope Intercept Form - Read the tutorial information to learn more about slope intercept form. Drag the graphed line to see how changing its position changes its equation. MathPortal.org's Slope Intercept Form – Enter your equation and a step-by-step explanation of the results is provided along with the graphed line. The x-intercept is the point where a line crosses the x-axis. The y-intercept is the point where a line crosses the y-axis. The tools below help you calculate x- and y- intercepts when you know the coefficients in a straight line equation. TutorVista.com's X- and Y-Intercept – Use the tutorial information to learn more about this concept and strengthen your skills by following the step-by-step explanations provided with the sample problems. EndMemo.com's X- and Y-Intercept – Easy to use and a great way for those new to the skill to double check their results. EasyCalculation.com's X- and Y-Intercept Grapher – Enter the coefficients of your line equation. The results will include the x- and y-intercepts and the points shown on a graph. The X- and Y-Intercept Formula is also provided. MeraCalculator.com's Two Point Form – Great for beginners, use the tutorial information to learn how the two point formula is solved, step by step. This finds the equation of the line based on the two points entered. EasyCalculation.com's Two Point Form – Easy to use and provides a great way to check your results. MathPortal.org's Two Point Form – Find the equation of the line that passes through two points. The results include the equation of the line, a step-by-step explanation, and your line on a graph. EndMemo.com's Parallel Line Through a Given Point – Develop your knowledge of parallel lines: simply input your values and the tool will find the equation of the line parallel to your line that passes through the point given. It also provides the needed formula. MathOpenRef.com's Interactive Parallel Lines – Drag the points to see that the graphed lines always stay the same distance apart no matter how they're moved. MathPortal.org's Parallel and Perpendicular Line – Helps you graph parallel and perpendicular lines through a given point. Your results show your graphed line and the line that runs through the given point and a step-by-step explanation. Symbolab.com's Parallel Line – Enter your equation to find the line parallel to it that passes through a given point. The results provide a step-by-step explanation of how the solution was found and a graph of the parallel lines. MathWarehouse.com's Parallel and Perpendicular Lines Applet – Learn more about how lines interact on a graph by dragging the points of the lines on the applet. The applet calculates slope—showing the rise and run of the lines—instantly. Algebra.com's Equation of a Parallel or Perpendicular Line Solver – Using your equation, find the equation of a line that is parallel or perpendicular to it. The results include an easy-to-understand, step-by-step explanation and show the lines on a graph. EndMemo.com's Perpendicular Line Through a Point – Before moving on to graphing perpendicular lines, learn more about working with perpendicular line equations. Clear results and the formula you'll need in order to find the perpendicular line that goes through your given point are provided. Symbolab.com's Perpendicular Line – Enter your equation and the given point. This tool finds the line perpendicular to your line that passes through the given point. It graphs the lines and provides a step-by-step explanation with the results. MeraCalculator.com's Perpendicular Bisector – Provides a great way to learn more about perpendicular bisectors. It explains the concept and provides a step-by-step explanation of an example to help you get started. EasyCalculation.com's Perpendicular Bisector – Use this to confirm your own answer. Enter your x,y coordinates and it provides the equation of the bisector. MathOpenRef.com's Interactive Perpendicular Bisector – Learn more about perpendicular bisectors by dragging the points to see exactly when a line becomes a perpendicular bisector. MathWarehouse.com's Interactive System of Linear Equalities – Drag the provided points to see how the inequalities and coordinates are affected. Shodor.org's Linear Inequalities Grapher – Enter up to 4 inequalities to see how they relate when graphed. WolframAlpha.com's Inequalities Grapher – Quick and easy to use, just enter your inequality to see how it appears on a graph. Symbolab.com's Functions and Graphing – Cleanly designed and easy to use. As part of your solution, it provides a step-by-step explanation and graphs your function. MathIsFun.com's Function Grapher – Enter your function and instantly see it on the graph. You can also enter a second function to see how it relates to the other. The grapher also includes tutorial information about simple functions. WebGraphing.com's Function Graphing – This function grapher is fun to use. Enter your function and press the dancing “Graph It” button to see your function on a graph. Then, take a look at the tutorial information to learn more about your function. RechnerOnline.de's Draw Function Graphs – Graph up to 3 functions to see how they relate to one another. GraphSketch.com – Graph up to 6 functions with this easy to use tool. Follow the instructions to find out how to graph more complicated functions. MathOpenRef.com's Graphical Function Explorer – Graph up to 3 functions. Drag the sliders to make real-time adjustments to your graph. Follow the detailed instructions to get the most out of the Function Explorer. University of Rhode Island's Function Graphers – URI's Department of Mathematics presents these function graphers. For a basic representation of your function on a graph try the functions grapher and then take it to the next level with the 3D model. HotMath.com's Function Grapher – This grapher is quick and easy to use. In addition to graphing functions, it has a feature that plots coordinates. TLHIV.org's Function Grapher – For skilled users, learn to graph a variety of advanced functions. Use the drop down menu to work with different functions. It graphs in 2D and 3D. WolframAlpha.com's Plotting and Graphing – This can be used to graph basic and advanced-skill level functions. See the Plotting & Graphing page for more function examples. It can also be used to graph equations and inequalities. Shodor.org's Function Flyer – The Function Flyer is quick and easy to use. Just enter your function and it appears on the graph. Then, use the slider to make adjustments to your graphed function. LivePhysics.com's 3-D Function Grapher – Graph advanced functions in 3-D. Use the example functions to try it out. MathPortal.org's Quadratic Function Grapher – Plots quadratic functions and provides the x- and y-intercepts, vertex, and focus. It also provides detailed explanations of how it finds these solutions. FunctionGrapher.com – This function grapher is easy to use. Enter your function to see it plotted on the graph. 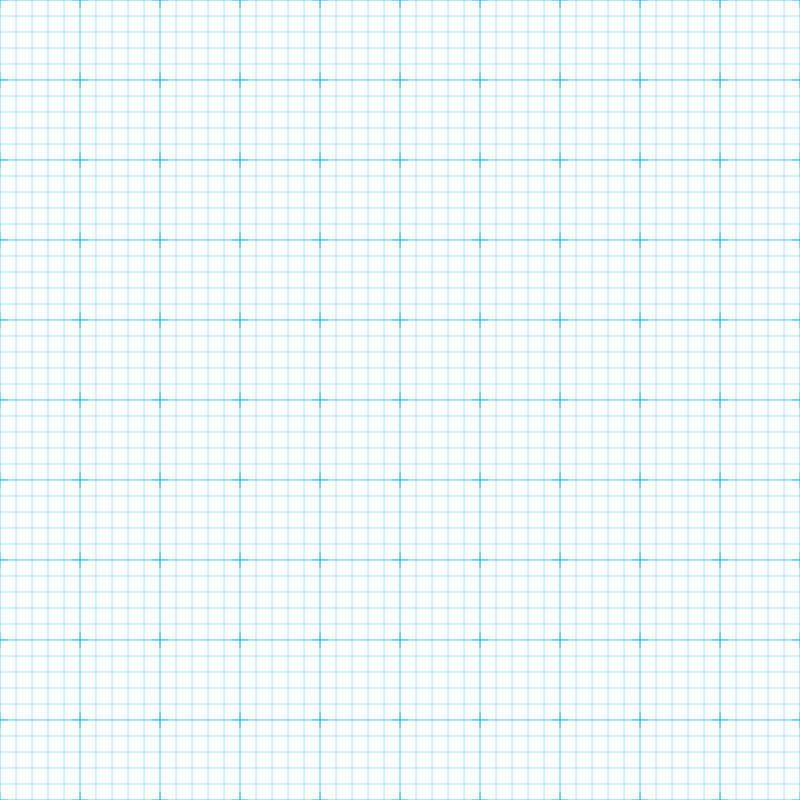 Once plotted, you can scan the graph with your cursor and the coordinates appear. MathCaptain.com's Tangent Line – Learn more about tangent lines from the provided tutorial information. Follow the step-by-step instructions to find the slope and equation of a tangent and then use this tool to check your results. Symbolab.com's Tangent Line – Provides step-by-step explanations of how the tangent line was found and graphs your lines. Use the examples to help get you started. WolframAlpha.com's Tangent Line Grapher – Use this tool to find the “tangent to the graph of a function at a point.” A graph of the tangent is also provided. EasyCalculation.com's Draw a Circle – Enter the radius and two circle center points to see your circle on a graph. WebMath.com's Graph a Circle – Learn about the equations used to create circles. Enter your values on 1 of the 4 circle forms given and then view your circle on a graph. MathPortal.org's Circle Equation – Learn two ways of working with circle equations. Either use the equation to find the center and radius of your circle or use the center and radius to find your circle's equation. Both options graph your circle and provide the solution. WolframAlpha.com's Properties of a Circle – Easy to use, just enter the properties of your circle, such as its radius and center. Then, your circle will be shown on a graph. AlgebraLab.org's Hyperbolas Lesson – Read the tutorial provided with the three examples and then test your knowledge by answering the provided questions. Use the “Check Your Answers” button to see how your knowledge of hyperbolas has progressed. TutorVista.com's Hyperbola – Learn more about hyperbolas by following the step-by-step explanations for how to find a hyperbola's foci, eccentricity and asymptotes. WebGraphing.com's Analyze a Hyperbola - When you provide the equation, view your hyperbola on a graph and use the provided table of “Facts About This Hyperbola” to learn more about it. WebMath.com's Graphing Hyperbolas – Choose the hyperbola equation that best matches yours. Then, enter the needed values and your hyperbola will be shown on a graph. EndMemo.com's Hyperbola Equation Grapher – Quick and easy to use, just enter the needed values to view your hyperbola on a graph. EasyCalculation.com's Horizontal Hyperbola Graphing – Learn more about working with horizontal hyperbolas by entering the “a” and “b” value for the formula. Your hyperbola will be shown on a graph. EMathLab.com's Interactive Hyperbola – This interactive hyperbola is fun and easy to use. Adjust the sliders to see how the properties of the hyperbola change. OpenAlgebra.com's Interactive Hyperbola – Great for beginners, this interactive hyperbola provides detailed tutorial information. Adjust the green points to see how the hyperbola changes. There is a horizontal and vertical hyperbola option. WolframAlpha.com's Hyperbola Calculator – Enter the hyperbola's center and focus to see it on the graph. Information about the hyperbola's other properties, such as its eccentricity and asymptotes, is also provided. MathIsFun.com's Interactive Parabola – A great way to introduce yourself to working with parabolas. This interactive parabola allows you to follow a kicked soccer ball along a parabola and to adjust the parabola to see how the ball's curved path is affected. MathWarehouse.com's Interactive Parabola – Great for those new to the concept, the interactive parabola allows you to experiment with the “a,” “b,” and “c” coefficients to see how the graphed parabola and equation are affected. WebGraph.com's Analyze a Parabola -When you provide the equation, view your parabola on a graph and use the provided table of “Facts About This Parabola” to learn more about it. WolframAlpha.com's Parabola – Quick and easy to use, enter the focus and vertex to see the parabola on a graph. The parabola's other properties, such as the focal parameter and eccentricity, are also provided. WebMath.com's Graphing Parabolas – Choose the type of parabolic equation with which you're working. Enter your values to view the parabola on a graph. IntMath.com's Interactive Parabola Graphs – Work with and read about three interactive parabola graphs to learn more about their properties. MathOpenRef.com explains that an ellipse is “a curved line forming a closed loop.” Learn more about ellipses and their properties by using the calculators below. 1728.org's Ellipse – Provides detailed instructions to help you get started. It also provides detailed tutorial information about ellipses to strengthen your knowledge on the concept. AlgebraLab.com's Ellipses Lesson – Learn more about ellipses with the provided tutorial information. Then try out the sample problems and use the “Check Your Answers” button to see how you did. MathOpenRef.com's Interactive Ellipse- A great introduction to ellipses, this interactive ellipse allows you to drag certain points to see how the ellipse is affected. WolframAlpha.com's Properties of an Ellipse – Easy to use, just enter the properties of your ellipse, such as its semi-axes and center and then view it on the graph. EasyCalculation.com's Draw An Ellipse – Enter your ellipse's height, width, and two center points and then view it on the graph. WebGraphing.com's Analyze an Ellipse – When you provide the equation, view your ellipse on a graph and use the provided table of “Facts About This Ellipse” to learn more about it. WebMath.com's Graph an Ellipses – First, choose the type of ellipse equation you're working with. Once selected, enter your values to see your ellipse on a graph. The center of your ellipse and foci will be noted. EndMemo.com's Ellipse Equation Grapher – Provides an ellipse formula and prompts you to enter your values. Then, it shows your ellipse on a graph. EMathLab.com's Elllipses Graph – Make adjustments to the graphed ellipse to see how its equation and properties change.